A new vision of Spyro born from the ashes. Spyro the Dragon is getting a new lease on life with the Spyro Reignited Trilogy, and it's going to be a blast for new and old fans alike. 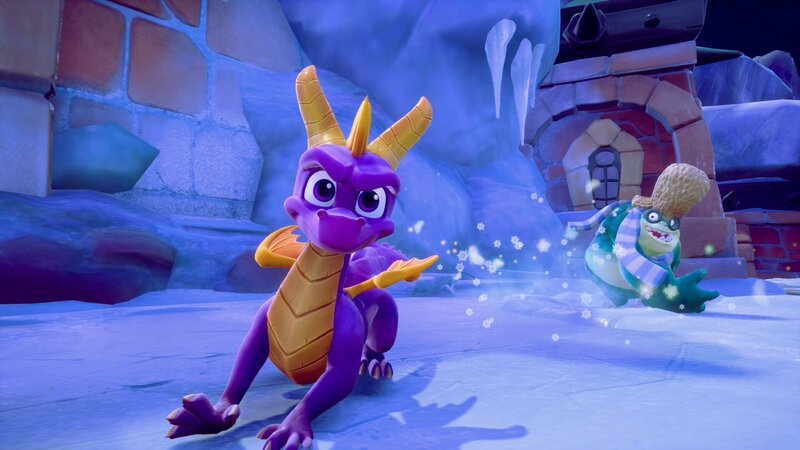 Shacknews spoke with Lou Studdert, executive producer on the upcoming Spyro Reignited Trilogy, about what's in the cards for the new adventure. The game was delayed to November 13, according to Studdert, so the developers could offer more polish and offer the "most amazing experience possible." But it's also likely because it took time to get everything together. As Studdert notes, the team has had to work extremely hard as of late, remaking the games in their entirety on their own. "We have had to rebuild the game entirely from the ground up. There was no source code. The team had to completely remake this title," explained Studdert, which certainly sounds like an amazing undertaking. There are some other fun tidbits in the interview, that despite Luddert dodges, certainly seem like we might hear more about in the future, such as possible Switch support (hopefully!) and a fun question about whether we might see Crash and Spyro crossing paths someday. Check out the full interview for plenty of Spyro goodness!